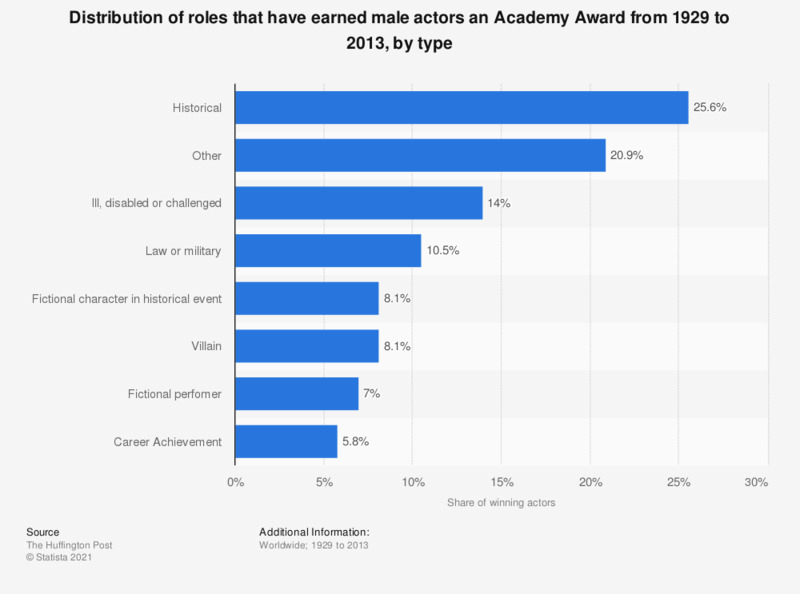 This statistic illustrates the distribution of roles that have earned male actors an Academy Award, broken down by type. From 1929 to 2013, 8.1 percent of actors who have won an Academy Award played the role of villain. Does the Academy of Motion Picture Arts and Sciences do a good job or a bad job nominating for award categories?